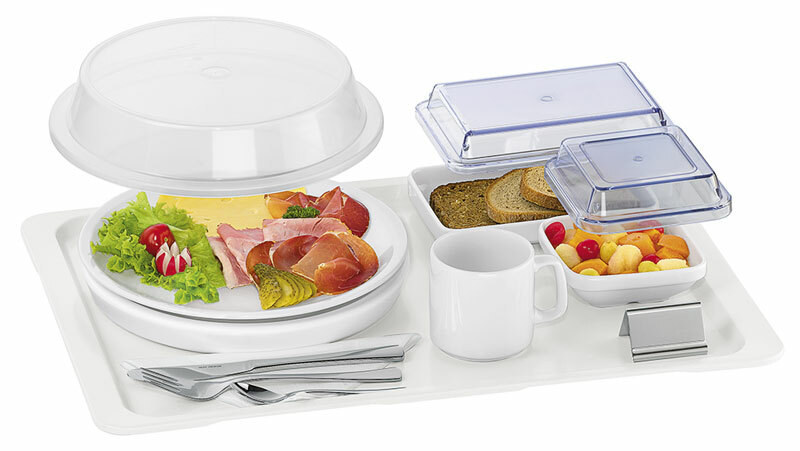 HEPP HOSPITALA system service utensils for cool serving help keep cold food and side dishes at the ideal serving temperature for hours on end. The wide range of models and designs plus compellingly practical technology and attractive design all contribute to highly professional, modern and visually attractive kitchen and catering management. A viable alternative to active-principle serving systems. The times stated above are guideline values for everyday operation of a hospital kitchen at 24 – 28 °C room temperature. Assuming prior evening-meal portioning at fill temperatures of approximately 7 °C and an eating temperature of max. 15 °C. Insulating base part with cooling pellet in place as well as insulating cover made of plastic. Keeping cool for: more than 7 hours. System base part is of raised design and the plate is securely held in the base part. Insulating cover seals neatly against the insulating base part. 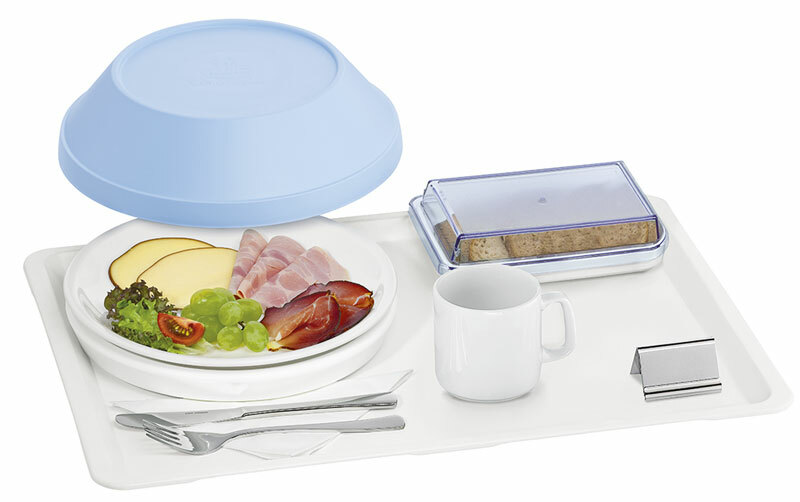 The system parts can be used for serving evening meals and also midday meals. Thermoplastic cooling base part with insulating cover. 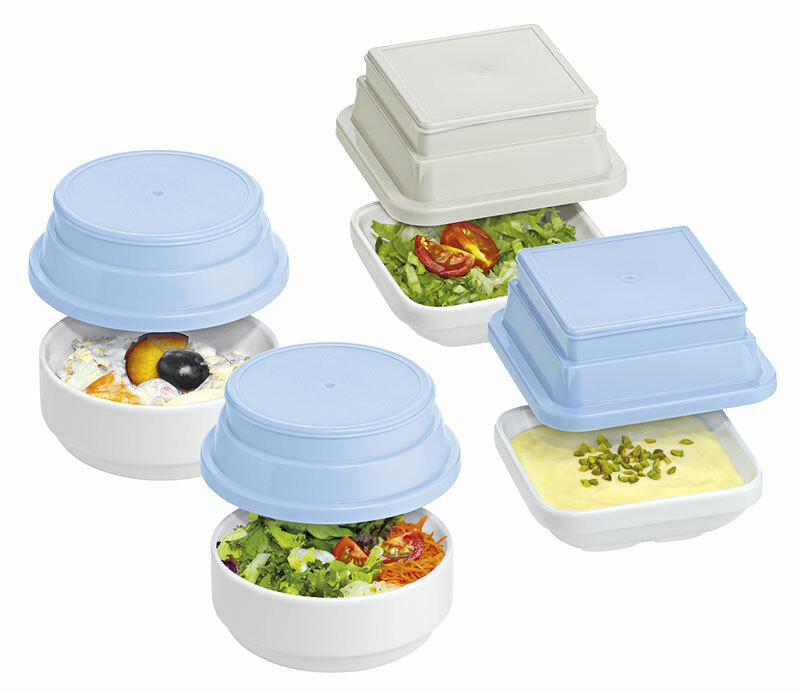 This set for keeping food cool is also ideal for cold dishes for midday meals. Aesthetic presentation of meals thanks to flat construction of the cooling lower. Cover sits neatly on the edge of the plate. Thermoplastic cooling base part with single-walled plate cover. Excellent temperature values even with single-walled plate cover. Plate cover sits neatly on the edge of the plate. Transparent option possible; benefit is that the food is clearly visible while still kept covered. Cooling cloche made of plastic, with integral cooling core. 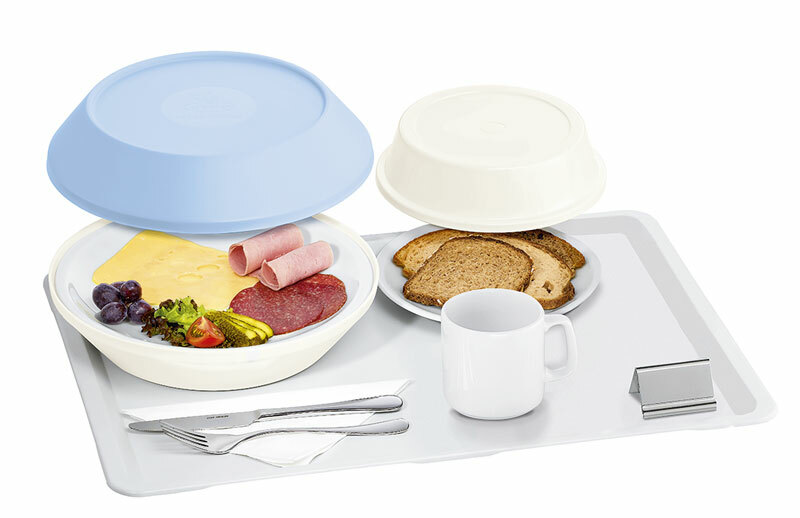 Eminently suitable for breakfasts, midday meals and evening meals. No system base part, so eating height is conveniently low, very much like at home. Cooling cloche sits neatly on the edge of the plate. Cooling cover round or rectangular, made of plastic with cooling gel. 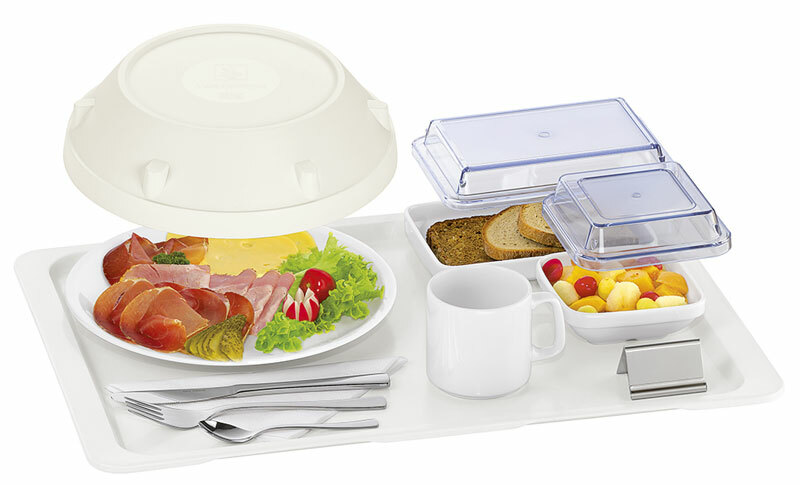 For hygienic covering and perfect cooling of cold side dishes for breakfast, midday and evening meals. System designed with perfect proportions to fit accurately with all items.